Sometimes going to church in the country seems like the right thing to do. It was actually late last summer we decided to get a ticket to attend the Madison Missionary Baptist Church. Did I say get a ticket? Perhaps I was thinking of baseball great Branch Rickey who was born on a farm not a baseball’s throw from this very church. I have often wondered how there could not be a historical marker here. For a half century, Branch Rickey turned the baseball world upside down. His drive for success within baseball led him to the idea of recruiting the first black man to professional baseball, and his uncanny business genius brought the also legendary Jackie Robinson into baseball as the first black professional baseball player. At one point, a promise to his mother to never play baseball on Sunday affected his whole career. He was fired as a manager of the Cincinnati Reds due to his refusal to being at the games on Sundays. Even in his baseball managerial and administrative positions, he appointed assistants to fill in for him on Sundays. This had no effect on the wealth and honor he achieved in professional baseball. Rickey is buried at a beautiful site in the Rush Cemetery of McDermott, Ohio. I had to linger momentarily at the church entrance staring into the beautiful fields surrounding this birthplace of our local legend. After pondering on a bit of history from this area, we walked into this lovely country church. It is a church as beautiful as all that surrounds it. The questions always arise, how will we be welcomed, what will people think of our visit? Some usually ask, are you looking for a church, where do you live? We always wonder, will we know anyone? Today, Beverly and I would be close to home while our church partners Chris and Stephanie Neff had traveled from Portsmouth to join us. I knew that none of us were going to be disappointed in our choice. But, then again, was it our choice or a guiding hand that brought us here today? We have several guidelines in our visits. One is that we can’t go back to a church until we have attended all of the churches in this county. This was our 30th church visit. Now we have attended many more. We don’t make advance contact before visiting, we just drop in. It is beginning to be fun to see surprises on the faces of some who now realize our mission. Two ladies walked up and said they enjoyed reading my blog/column without any kind of introduction. Appreciated. The minister today read our visitation bookmark we are now passing out to a few as we walk in a church. Our churches are full of wonderful people, and Madison Missionary is no exception. Our churches also experience bumps in the road, because we are all human and things do not always fall in place. Two times in just 30 have we dropped into churches experiencing such a bump in the change of leadership for whatever reason. We just show up and that’s the way it is. Perhaps we were brought here to tell you a story about a church that has been in this location since 1821. It has been rebuilt three times, twice being destroyed by fire. The love here is contagious. If you are reading this, are within distance and are looking for a new place to bring your family, then why don’t you give this church a take a look. Today’s service opened with prayer. Then there were several announcements and the story of a church member having led several family members to the Lord in the past week. 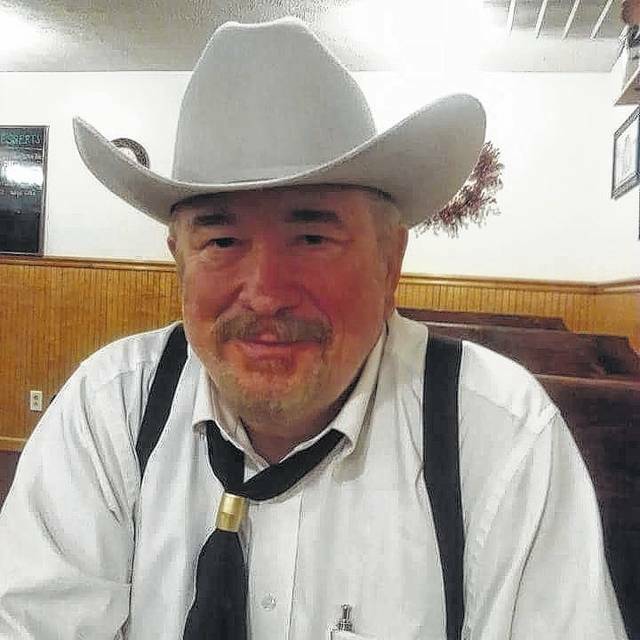 Don Noel, once a pastor of this church, had been called to conduct today’s service, and he said several things were happening today, several I wasn’t even aware of, and I think we may have accounted for one of those, lol. To the hymn, “Wherever He leads, I will go,” Don invited the congregation to walk about and greet each other. A little girl came up to join the pianist singing an older hymn solo style. That hymn was “Victory in Jesus.” The minister said you could remember her name by thinking of the President, her name being Reagen Pack. I later learned that the lady playing beautifully at the piano is her mother, Twilite Pack. Pastor Noel had told of a call he received by friends from Knoxville, Tenn., who he had once sung with in a quartet. He was coming to visit, and Gene Crabtree was prepared to sing this morning. Gene said there are two things you don’t want to follow in a service: kids and animals. He told of Don asking him to sing in church when he was 11 years old, saying here I am today. Mr. Crabtree said his mother attended this church as a child. Our homeplace was at the end of Bull Run. He explained that, due to an obligation, he would have to leave early, but wanted to explain the reason wouldn’t be because of Don’s preaching, which brought a chuckle. Pastor Don began his sermon speaking from the first six verses of Acts. He then went into prayer thinking of those we love today. In a discussion on Paul (Saul being the same) from Acts 9 verse 6, he quoted, “Lord, what would you have me to do.” Everyone may ask this, say this and meaning it in our hearts, which could change this church, our homes, our community and our world. Beverly discussed with me Saul’s conversion happening on the road to Damascus. We remembered our walk on a portion of the road to Damascus with our children on a visit to Israel many years ago. Beverly pointed out to me that Saul had been a pretty bad guy before his conversion. He later spoke the fruits of this conversion: “Lord I am ready, whatever you want me to do.” Pastor Don spoke of Paul being an honest, sincere dedicated man. However, he did all he could do to destroy everything Jesus did. It was in Acts 9:3 “As he journeyed, he came near Damascus, and suddenly a light shone around him from heaven. Then he fell to the ground, and heard a voice saying to him, Saul, Saul, why are you persecuting me?” And Saul said, “Who are you Lord?” Then the Lord said, “I am Jesus, whom you are persecuting.” So Saul trembling said, “Lord, what do you want me to do?” Then the Lord said to him, “Arise and go into the city, and you will be told what you must do.” Then it was in Acts verse 16, Ananias laid his hands on Saul saying, “Brother Saul, the Lord Jesus, who appeared to you on the road as you came, has sent me that you may receive your sight and be filled with the Holy Spirit.” He was ready to serve the Lord and preach the Gospel. The pastor asked, are you ready, ready for service, ready for the mission field, ready to serve the Lord? Are you ready? Why not drop in and visit this wonderful country church? With an altar call, the song was sung, “I have decided to follow Jesus.” As believers, let us share the good news of Jesus Christ as Savior of the world. Each one, reach one. See ya in church.